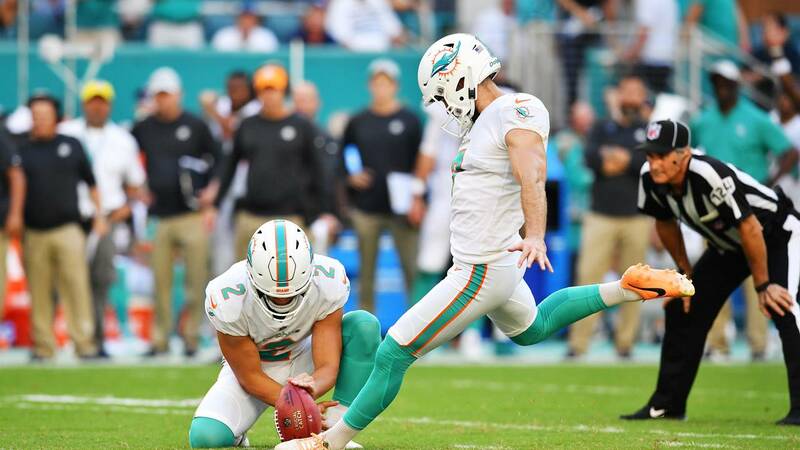 Jason Sanders #7 kicks the game winning field goal against the Chicago Bears in overtime at Hard Rock Stadium. 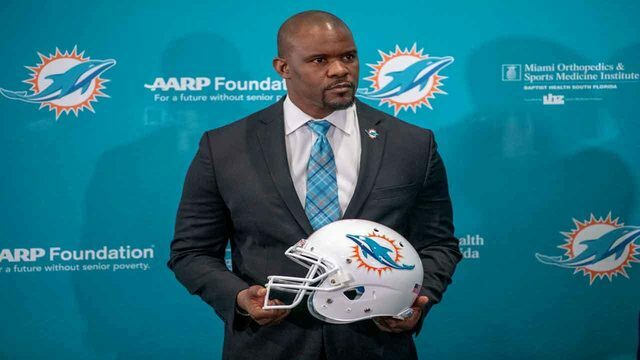 MIAMI GARDENS, Fla. - Jason Sanders kicked a 47-yard field goal on the final play of overtime after Cody Parkey missed a 53-yard try for the Chicago Bears, who blew an 11-point lead in the final 16 minutes of regulation and lost to the Miami Dolphins 31-28 Sunday. Chicago's Tarik Cohen scored on a 21-yard run and had a long catch and run. Kyle Fuller had two interceptions, the second of which set up a Bears touchdown. 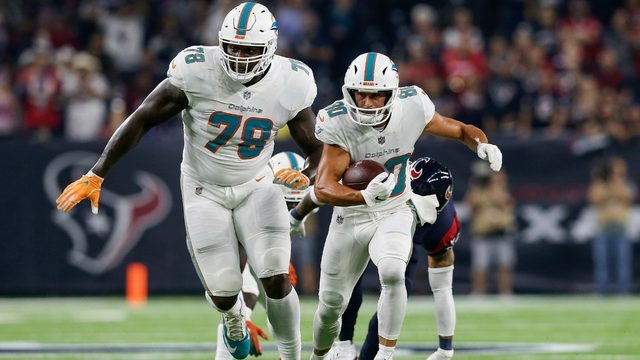 Dolphins receivers Kenny Stills and Albert Wilson kneeled during the national anthem, and defensive end Robert Quinn stood with a raised fist, as they've done at earlier games this season. No Bears demonstrated during the anthem.